This is where we announce our news and the most recent additions to this website. If you've visited us before and want to know what's changed, take a look here first. A special 'Thanks' to all our visitors and re-enactors for making our March 2019 Open Weekend Event another unique and successful Hut 9 experience. an extra Open Weekend Event this year. and uploaded on ITV Player on 5 June 2017. WATCH IT HERE on itv.com! A panoramic 360 degrees view inside and outside Hut 9. This is a new page we created to say A BIG THANK YOU to all who made donations or helped us in their own special way to get where we are so far. Here we have provided the Hut 9 Preservation Group Bank Account details. If you believe in our cause and vision, please give generously. First World War centenary marked at free Bryngarw House event. At Tesco Extra (Many Thanks Tesco!). Cowbridge Road, CF31 3SQ Bridgend. View map · Get directions. Volunteer re-enactors get a chance to display in all their finery to raise operating cost funds for the preservation of Hut 9. 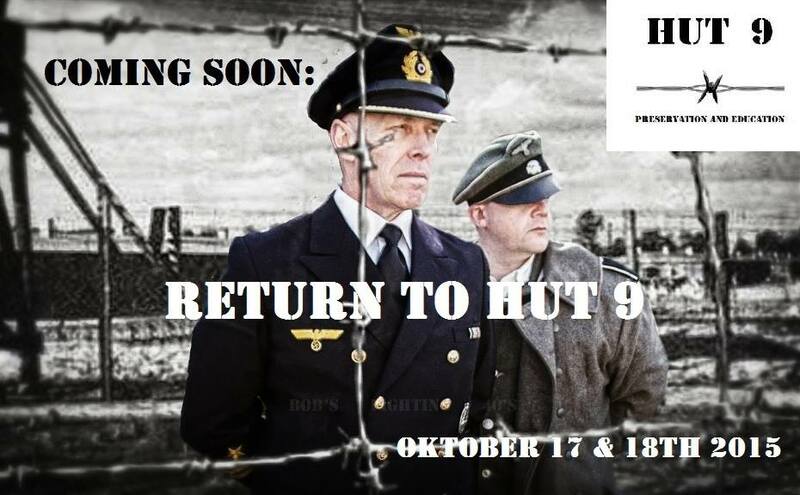 Currently all Hut 9 events' expenses are met by collections/ donations from past Hut 9events. Such donations first started at our 2013 Open Doors Event. At this stage every penny counts! THANK YOU VERY MUCH FOR YOUR KIND CONTRIBUTIONS EVERYONE!